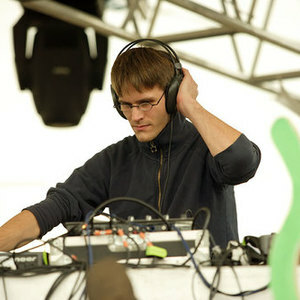 Hamburg based artist Henrik Twardzik, better known as Neelix started to produce music in the early 1998. After DJing for some years he finally decided to create his own sound. His first track he recorded was "Neelix - The Fourth", released on a NOVA TEKK compilation called Maverixx in 2002, which was followed by numerous releases on different labels from all around the globe. Until now Henrik has released 2 albums and many singles, his third album is already finished, mastered and was to be released on the 30th of March, 2009 on Millennium Records. After DJing for some years he finally decided to create his own sound. His first track he recorded was "Neelix - The Fourth", released on a NOVA TEKK compilation called Maverixx in 2002, which was followed by numerous releases on different labels from all around the globe. Until now Henrik has released 2 albums and many singles, his third album is already finished, mastered and was to be released on the 30th of March, 2009 on Millennium Records. Henrik belongs also to the founders of the Hamburg based label Glamour Studios. He has already played at many big open air and indoor events in Germany and in countries like Sweden, Hungary, Denmark, Greece, Swiss, Austria, U.K., Belgium, Netherlands, Israel and Mexico to mention only some of them.